Have you ever wondered what it looks like when a seed first sprouts? What squash blossoms smell like? Or maybe you just wanted to taste the sweetness of a freshly picked strawberry? At Orchard Ridge, residents will be able to do just that and more. 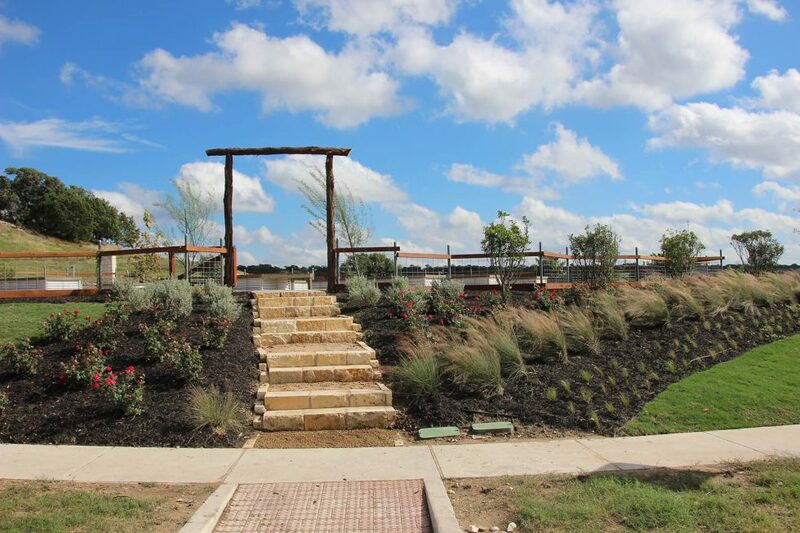 The Community Gardens will provide residents with the chance to satisfy their curiosities and connect with nature, whether they want to try their hand at maintaining their own garden or just want to stop by for a relaxing stroll. What are the Community Gardens? The Community Gardens are a series of raised garden beds that are available for residents to use and enjoy. In addition to the orchards of peach and pecan trees, the Community Gardens will produce a variety of flavorful fruits, vegetables and herbs, with plantings changing seasonally. No matter the time of year, there will always be something fresh and delicious growing. Residents can look forward to squash in the fall, spinach in the winter, strawberries in the spring and tomatoes in the summer. How do the Community Gardens work? The Founders Gardens will be maintained by the Orchard Ridge Homeowners Association for the entire community to enjoy. So even if you don’t have the greenest of thumbs you will still be able to enjoy the entire growing process, all the way from seed to harvest. But if you have the itch to try your hand at gardening on your own, there will also be plots available for lease to residents, providing you with your own space to grow. If you ever have any questions or concerns, a Master Gardener will be available to provide guidance and direction to help ensure that your crops will flourish. What are the benefits of the Community Gardens? The Community Gardens are a unique amenity, with many different benefits. The gardens will provide residents with the means to produce their own fresh, healthy foods that they can enjoy with their families. Children will have the chance to learn where food comes from, helping them to build healthy eating habits and enhance their understanding of the environment. And most importantly, the Community Gardens will play a key role in connecting residents both nature and their neighbors. Interested in learning more about the fresh new lifestyle at Orchard Ridge? Visit our community to tour the Community Gardens and our model homes, and make sure to join the Founders Club to receive news and invites to future events.